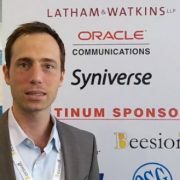 Vencore has developed an application ecosystem using its Intelligent Data Exploitation and Analytics System (IDEAS), which will fulfill FirstNet’s vision of having an ecosystem for safe, innovative applications for first responders. 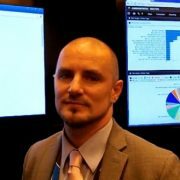 Steve Sebestyen, business-development manager and public-safety evangelist for Motorola Solutions, explains how TipSoft—a software application acquired with the purchase of PublicEngines in April—lets informants provide public safety with information via a secure online portal while remaining anonymous. Ryan Seick, vice president of engineering at SceneDoc, outlines the feature set of the company’s 3.1 release of its software, which is being highlighted on the new Motorola Si500 body camera/speaker microphone. With the 3.1 version, users can complete forms and sign them while in the field, then transmit them to headquarters with AES 256-bit encryption while using less battery resources than in previous versions of the application. 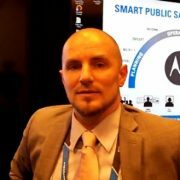 Steve Sebestyen, business-development manager and public-safety evangelist for Motorola Solutions, discusses how the many products in the company’s portfolio can be leveraged in a complementary manner to help public-safety agencies predict, respond to and investigate incidents. 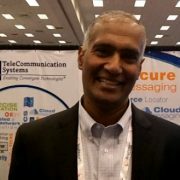 Kannan Sreedhar, vice president and general manager of the VirtuMedix group at TeleCommunication Systems (TCS), explains how the company’s VirtuMedix software platform can help providers deliver healthcare services more efficiently and easily to patients in rural areas. Sreedhar spoke with IWCE’s Urgent Communications Editor Donny Jackson during the recent CCA conference in Ft. Lauderdale, Fla.
Gustavo Merchan, vice president of marketing for Beesion, outlines how the company’s application platform can be used by public safety and other critical-infrastructure groups to develop flexible prioritization preplans that can be implemented quickly when responding to an incident. 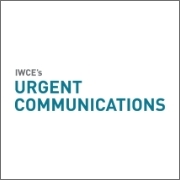 Here’s a look at the most popular stories on IWCE’s Urgent Communications from last week. 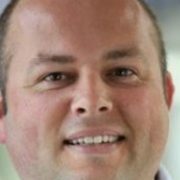 ​As enterprises gather increasing amounts of information about their missions, IBM has unveiled a new analytics package to help customers make sense of all the new data, according to Steve Dalzell, principal offering manager for IBM i2 Intelligence Analysis portfolio. 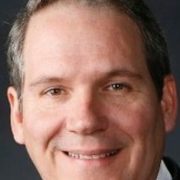 First responders will benefit from the situational awareness provided by real-time video and other multimedia applications, but it is important that public-safety agencies ensure that they design their networks properly to ensure that their networks have the appropriate capacity and reliability to be used in a mission-critical environment. 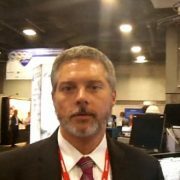 Mutualink CTO Joe Boucher explains how his company’s tactical node and collaboration platform will be used in the New Jersey public-safety LTE early-builder project that utilizes deployable communications during this conversation with IWCE’s Urgent Communications Editor Donny Jackson during APCO 2015 in Washington, D.C. The New Jersey project is scheduled to be finished by Sept. 30.